The recent increased public attention given to RS 2477 rights-of-way also has been accompanied by an increase in misinformation being spread by some anti-access environmental groups and federal bureaucrats. Sometimes this is because they simply do not understand the issue themselves. Often, however, it is a clear and deliberate effort to deceive. A word of caution! 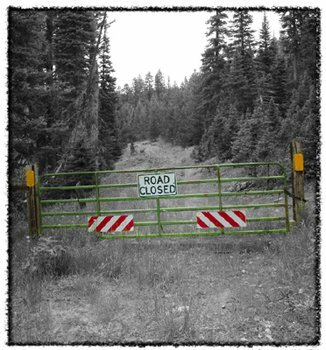 If those supporting continued public access to the public lands don't discuss RS 2477 accurately, they are just playing into the hands of the lockout crowd. You might want to double-check yourself on the facts, too! 1. RS 2477 is a simple and straightforward law. This is the entire text of RS 2477: The right-of-way for the construction of highways across public lands not reserved for public purposes is hereby granted. 2. Congress specifically and clearly reaffirmed the validity and intent of RS 2477 in 1976. Because RS 2477 became law in 1866, anti-access extremists argue that it is now somehow inconsistent with modern public land management policy. But just 22 years ago, when Congress repealed RS 2477 and replaced it and many other laws with the Federal Land Policy and Management Act, it specifically and explicitly reaffirmed all RS 2477 grants previously made. 3. RS 2477 was a self-executing law. When the conditions were met, the right-of-way grant was made. No further action by the grantee or by Congress was necessary to validate it. 4. Congress specifically by-passed the Executive Branch of the Federal Government in making RS 2477 grants. Under our Constitution, Congress has the exclusive power to manage and dispose of public lands and property (Article IV, Section 3: The Congress shall have Power to dispose of and make all needful Rules and Regulations respecting the Territory or other Property belonging to the United States;). In 1976 when Congress reaffirmed the RS 2477 right-of-way granting process established 110 ten years earlier, it had the total power to do so. The federal land management agencies have no independent power or authority over RS 2477 roads (or anything else to do with public lands). Their only authority over public lands is what Congress delegates to them. 4. The RS 2477 right-of-way grant is a property right. Therefore, it enjoys the same constitutional and legal protections as any other property. Legally, when the grant was made, the federal government's interest in the land underlying the right-of-way became the servient estate and the interest of the right-of-way grantee became the dominant estate. That means that while the federal government is protected against unnecessary or undue damage to the land underlying the right-of-way, it cannot interfere with the grantee's exercise of its rights. 5. The RS 2477 grant also conveyed a bundle of associated rights. These include the right to maintain the road and even upgrade the road. This federal law also is unusual because state law plays a major role. It can partially determine the scope of these associated rights, how the requirements of the grant offer were met, and the width of the right-of-way granted. 6. It is legally incorrect to call RS 2477 assertions claims. The term claim suggests that there is some process which must still be followed before the RS 2477 right-of-way is fully granted and valid. In reality, the grant was either validly made before RS 2477 was repealed in 1976 or it was not. If it was, then it is not a claim but a valid grant, and the grantee asserts its validity. If it was not, then it cannot be asserted under a repealed law. The anti-access activists and some federal bureaucrats like to talk about claims to confuse the issue. When someone talks about RS 2477 claims, they are either confused or deceptive. 7. Congress granted a right-of-way, not a road. In fact, RS 2477 rights-of-way can host a number of things besides roads. The legal definition of highway in the law means not only the frequently-traveled, periodically-maintained roads commonly associated with it, but also other kinds of public ways, including carriage-ways, bridle-ways, footways, trails, bridges, and even railroads, canals, ferries and navigable rivers. The essential element in defining highway is that whatever the means of transport, the public has the right to come and go at will. 8. The present physical condition of a road is totally irrelevant to whether a valid RS 2477 right-of-way exists. This should be obvious, but this is the point on which the anti-access folks are spreading the most misinformation. Whether a road is barely visible on the ground or even has been obliterated for any other reason, the legal status of the right-of-way is not affected. The grantee can legally re-establish the road even if it has totally disappeared. It follows, then, that it also is impossible to determine whether a valid right-of-way exists simply by looking at it. A right-of-way can only be relinquished or abandoned in accordance with state law. 9. A valid RS 2477 road can be established merely by the passage of vehicles. The case law and federal policy for over a century are clear: construction by machinery is not required to do so. Anti-access forces are frantically trying to convince the public otherwise. Don't be mislead. 10. No federal land management agency can determine the validity of an RS 2477 assertion. The agency can only determine for its own administrative purposes whether or not it will recognize the assertion as valid. Constitutionally, only a court can determine the validity. 11. 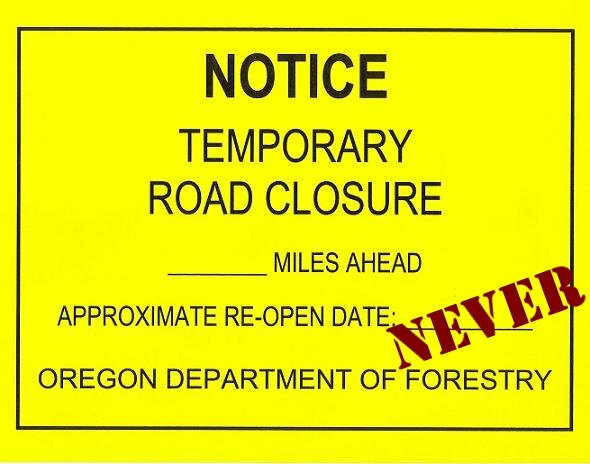 No federal agency has the authority to close an RS 2477 road for any reason, period. This follows logically, but many federal bureaucrats think they have this authority and try to act accordingly. When next you run into one, outline the points listed here and ask them to cite the legal authority by which they claim they can close an RS 2477 road. Ties them in knots.